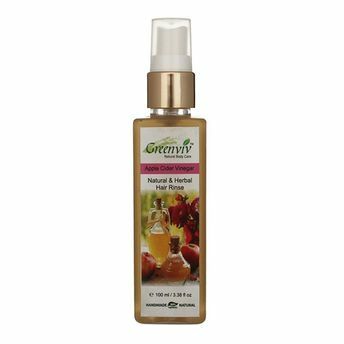 Greenviv Natural Apple Cider Vinegar Hair Rinse contains 15 hair nourishing herbal extracts that add shine, volume, smoothness and gives clear hair. Apple cider vinegar is highly conditioning and balance the pH of hair. It is highly helpful in making the hairs smooth after washing with shampoo. It helps in less hair fall due to breakage during combing. It is 100% vegetarian, natural and handmade.